Tonight's Legacy of 1804 is an adventure as I attend the Lakay se Lakay Haitian electronica summit at Selebrasyon! 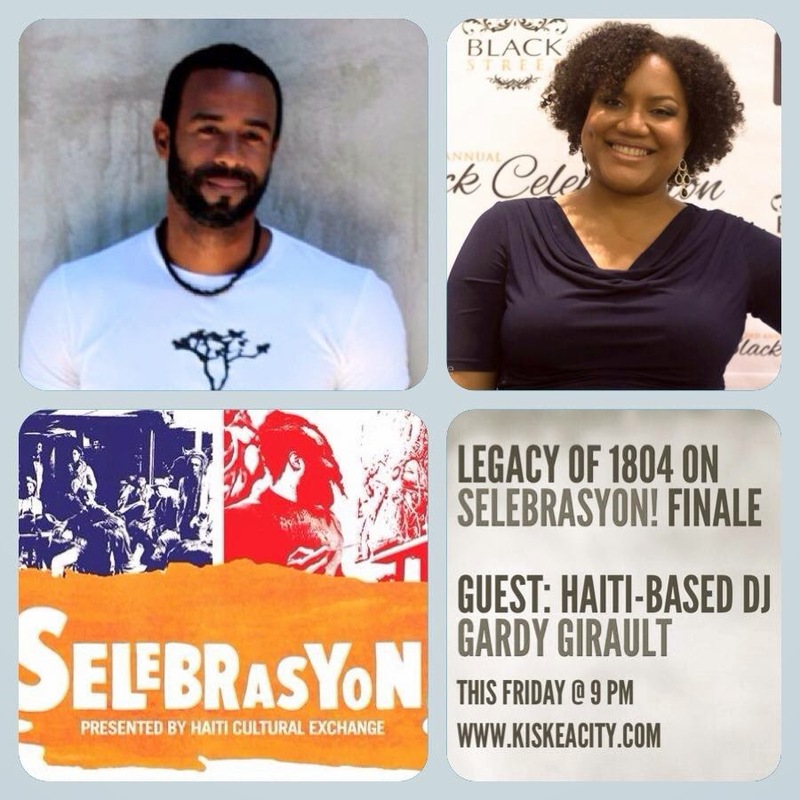 and interview Haiti-based DJ Gardy Girault and hopefully other DJs present. Panelists are Sabine Blaizin, Val Jeanty, Richard Earthman Laurent, DeepJust Aquabeat, Marjory Smarth, and Gardy Girault. Interviewed: Gardy Girault, creator of Port-au-Prince's No Passport party, journalist and podcaster Ayinde Jean-Baptiste and journalist Manolia Charlotin. We are then joined by Trinidadian-American trade unionist Roger Toussaint and cultural activist Martin Felix who came of age in Grenada during the revolution, to explore aspects of this oft neglected chapter of Caribbean history. How was this movement for self-determination launched in the pre-social media era? Why did Reagan take exception to the building of an international airport in Grenada? Did US involvement start at the post-killing invasion or was the Grenadian movement for self-determination infiltrated and destabilized? Originally aired on Creatively Speaking On the Air June 18, 2014. There will be no live Q and A tonight. Forward Ever will be screening FREE Friday June 20 at Medgar Evers College in Brooklyn at 6PM and again at 4PM Saturday June 21 at Maisles Theater in Harlem. Purchase tickets for Harlem screening this Saturday here: http://maysles.org/mdc/forward-ever-the-killing-of-a-revolution/. 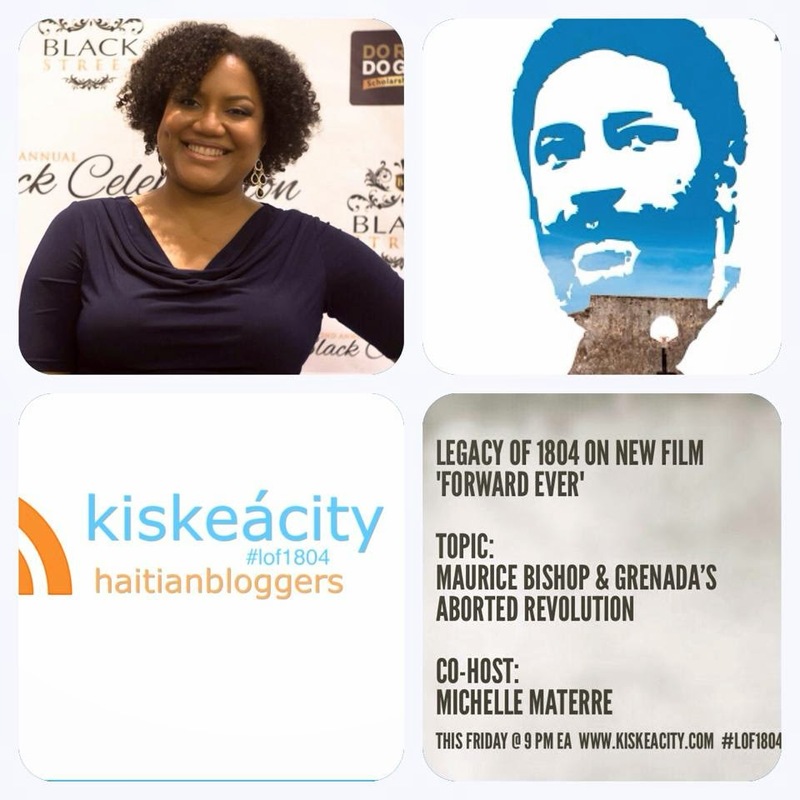 Listen live or archived at http://www.blogtalkradio.com/blackwholeradio/2014/06/21/legacy-of-1804-with-new-film-on-maurice-bishop-and-grenada-revolution or 323-927-2913. 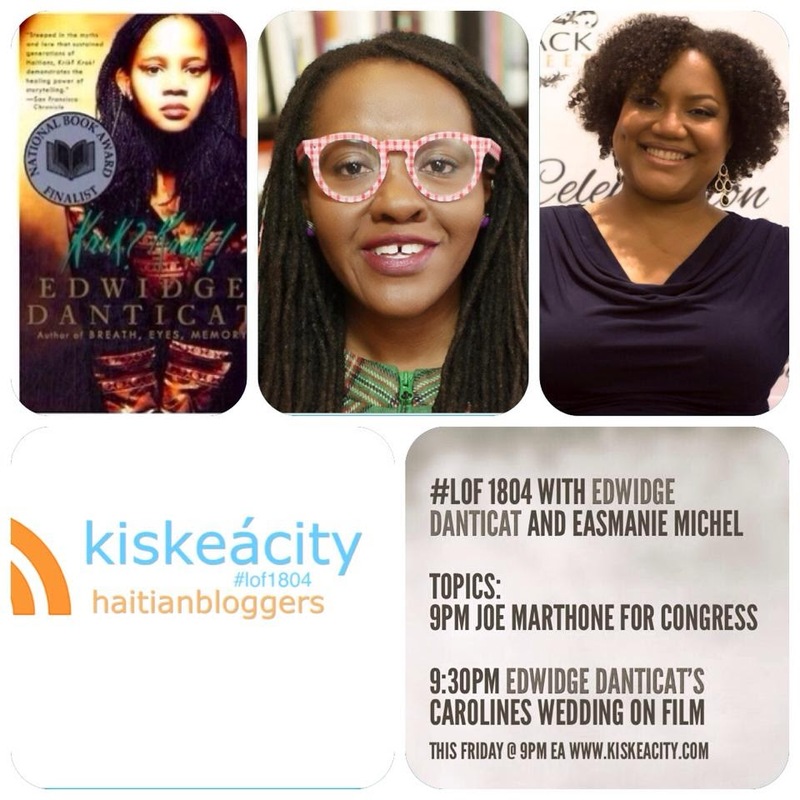 Listen live at http://www.blogtalkradio.com/blackwholeradio/2014/06/14/legacy-of-1804-with-edwidge-danticat-and-easmanie-michel-film-lof1804 or on the phone at (323) 927-2913. Join me as I welcome Edwin D'Haiti from MUDHAH, an organization seeking to create a diaspora party with representation in the Haitian parliament. Mr. D'Haiti lives in France. MUDHAH's website is http://www.mudhaiti.org/. 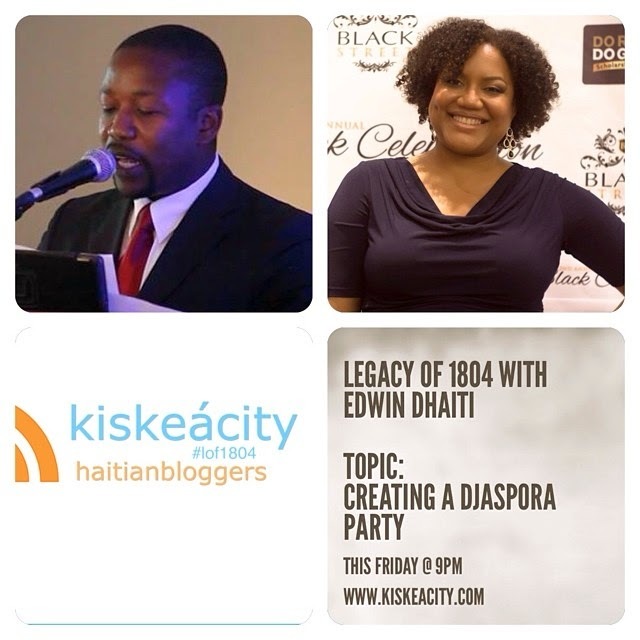 Listen live at http://www.blogtalkradio.com/blackwholeradio/2014/06/07/legacy-of-1804-with-edwin-dhaiti-lof1804-diaspora or on the phone at (323) 927-2913. You can listen to past shows on iTunes by searching keywords 'Legacy of 1804'. Past shows are also available at http://www.kiskeacity.com/search/label/LOF1804. On Twitter: react to or ask questions by using the hashtag #LOF1804. Mr. D'Haiti joined us around minute 30 and the interview was held in Kreyòl with some barebones translation into English .